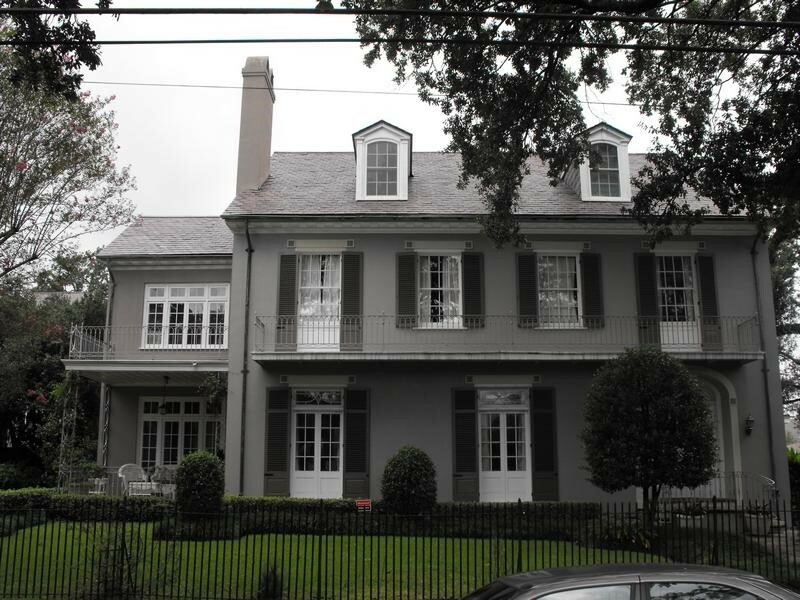 Although not as common as it once was, slate is still used as a roofing material for many new homes, and it is still present throughout the New Orleans area as a beautiful complement to many of our historical buildings. As a roofing material, slate actually has a fairly interesting history. So, we thought we’d talk a little bit about it. One thing that you may not realize is that slate was incredibly common before the Great Depression. However, the industrial boom that followed the Great Depression led to the creation of asphalt shingles, which, as you well know, are widely used today. It is no doubt that asphalt shingles are significantly less expensive than slate shingles, which is a major reason for their ubiquity. However, asphalt singles lack in a number of areas. For one, they’re simply not as attractive as slate shingles. Also, over the course of their lives, asphalt shingles will end up costing a property owner more than slate. Currently, about one in twenty new residential roofs will be made of slate. The homeowners who opt for slate roofs no doubt appreciate the luxurious look that it gives their homes, as well as the potential for long-term savings. If you’re considering a slate roof for your new home, or if you’re considering re-roofing an existing slate roof, there are a few more things you might like to know about the slate itself. Many do not realize that the point of origin for slate has a lot to do with its quality. There are several places in the United States where slate is quarried, including New York, Pennsylvania, Vermont and Virginia. Depending upon where the slate you use (or was used in your home) comes from, you can expect a different degree of longevity. On the longer side, you can expect slate that was quarried in Virginia, which is sometimes called Buckingham slate, to last for nearly two centuries. Slate from New York and Vermont also fairs pretty well, as you can expect it to last for approximately 125 years. At the rear, slate that comes from Pennsylvania only has a 65-year lifespan. Of course, not all slate that’s made today comes from the United States. It is also being produced in a number of different countries, including China and Brazil, where labor is much cheaper. The slate that comes from these places can be high quality, but you’ll need to do your research. When looking into slate, you’ll want to look into its S-rating, which speaks to its hardness, and therefore its durability. Slate that has been rated as S1 is the best. If you have an existing slate roof on your home that has been in service for a while, you may be wondering if it’s time for repairs or even a replacement. As with any other roof-related issues, you will need to conduct a visual inspection. On the outside, you’ll want to check for cracked slate shingles or those that have fallen out of place. You can also conduct a visual inspection from the inside to determine whether or not there are any places where moisture has been allowed to seep in. Really, though, when you’re dealing with a slate roof, you want to enlist the services of a professional. The material can be incredibly slippery, which makes conducting an up close visual inspection quite difficult, and it can break easily if mishandled. At JOI, we’re here to help you with all of your slate roof needs. When you hire us, we’ll use our years and years of experience to determine whether or not your slate roof simply needs spot repairs (which will save you a lot of money) or if it needs an outright replacement. In either case, know that our slate roofing experts will get the job done quickly, efficiently and affordably.